Don’t you just love it when there are a few clouds out and the rays of sun break through them? It’s almost like a spotlight spilling over a specific part of the earth. Lately, life’s been tough. Struggling with grief is real. It’s like a thick, dark cloud following me around. So I’ve got to look for the rays of sunlight as I process the grief. Otherwise the blahs can be a bit overwhelming. My trails. 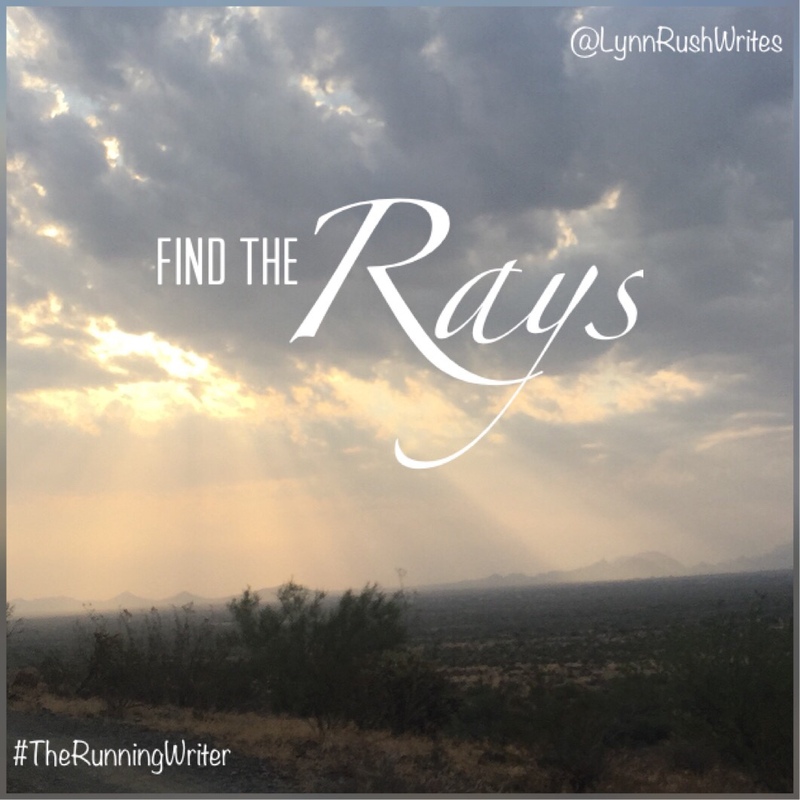 I get to run my trails and see, first hand, the light pouring through the clouds. It gets my heart pumping. My legs burning. My writing. I get to work on a wicked-awesome story with a wicked-awesome author. I’ve never done that before which leads to another adventure of plotting! I never plot out stories. I usually just write and write. But when you’re co-authoring….kinda need to plot. It’s been fun. Different, but fun. Those are just two rays of the sun that keep me going. There are more, and if I keep looking for them, they break through the clouds.